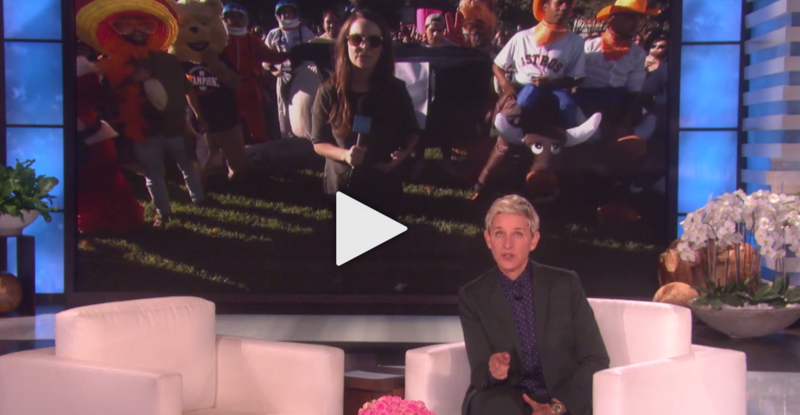 Ellen did not disappoint when her crew landed at the University of Houston Tuesday to give away World Series tickets. The talk show host told students to wear a "big costume" because "everything's bigger in Texas." She made them sing their own version of "Take Me Out to the Ballgame" for a chance to win the tickets. Three guys wearing cowboy outfits and riding inflatable horses nabbed the prize. Check out the full recap below!